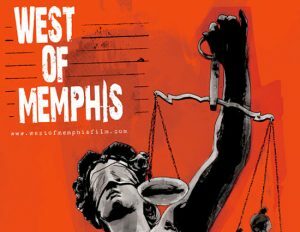 Film Review: ‘West of Memphis’!! I’ve been following this case ever since HBO aired the first ‘Paradise Lost‘ film in 1996. I was 15 then, and at the age, I was outraged and angry at how the justice system was working in Arkansas. I couldn’t believe that these people could convict three innocent young men with no evidence to life in prison, with one receiving the death penalty. Needless to say, over the years, i have researched and tried to help any way that I could to this case by sending emails and letters and really anything I could do in my power to help free the West Memphis 3. And fortunately, there were two more sequels done by the original team who made ‘Paradise Lost‘, which shed new light on the convictions. However, now, director Amy Berg delivers ‘West of Memphis‘ with the help of Peter Jackson and Fran Walsh, which offers many new insights and interviews for the audience who have followed this case from the beginning, while letting newcomers in easily. It’s one of the better documentaries ever made. I’m sure some of you might say, “why is this even being made?” Joe Berlinger and Bruce Sinofsky already made the three ‘Paradise Lost‘ documentaries, which chronicled the three men’s trials, prison sentence, and their ultimate release for prison 18 years later. You can rest easy to know that Berg pays homage and gives credit to the ‘Paradise Lost‘ films almost immediately and does so throughout the 2 and a half hour documentary, and even goes further than the original filmmakers did. It starts out with the actual footage of the police officers finding the three murdered children, which this beginning acts more as a recount of why Damien Echols, Jessie Misskelley, and Jason Baldwin are in prison. The year is 1994 in West Memphis, Arkansas, and we see a montage of dialogue and video of their first trial and their convictions, which ends with Echols smiling from the back of a police car as he’s hauled away. For some people not familiar with the case, it would be easy to see why these boys were convicted. From here we fast forward 15 years later with millions of people around the world out to free these three innocent men who are still in prison. Peter Jackson and Fran Walsh (famous for ‘The Lord of the Rings‘ trilogy), heard about this case and immediately wanted to help. So in 2005, they called the right people and financially supported new DNA testing, new investigations into the trial, and even getting new hearings based on the evidence they were finding. Some of their researched turned up that while back in 1994 at their trial, it was said that satanic ritual killings were used on the three children, but that the evidence showed that their bodies were being eaten by animals as they laid in the water. They even did live tests to show that turtles were the particular animal that caused all of the scratches and bite marks on the children. The documentary also focuses on Echols’ time in prison and how he met Lorri Davis, a woman who wrote to him in prison and eventually married and are still together to this day and living in New York. Lorri has worked on the case for a long time and was a big part of organizing the world wide awareness of the injustice of the West Memphis 3. There is also a very big chunk of the documentary devoted to Terry Hobbs, the stepfather of one of the victims, who we learn is the prime suspect in the murders and is still walking free today. Through Berg’s documentary, she unravels some harsh and very shocking truths about Hobbs and how the West Memphis police never thought he could be a suspect. However, that’s not the case as new testimony made from a tip line in 2012 suggests that Hobbs was the killer and that they had evidence. 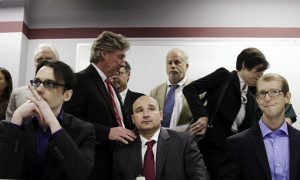 Well, we all know the story and how the state of Arkansas, in order to avoid the shame and humility and loss of millions of dollars, told the three men that they could go free if they pleaded guilty, which is called the Alford Plea. And we see some of the degenerate Arkansas politicians who were wanting to close this case with much quickness as to avoid any possible embarrassment and says that he still believes the three men are guilty because they pleaded guilty in order to get out of jail, which made the entire audience gasp and yell. Berg pulls at our heart strings for these three once young teenagers who are all now in their 40s and have spent 18 years in prison for crimes they did not commit. If you see one documentary this season, see ‘West of Memphis’. It will stay with you forever. Here’s the Trailer for ‘West of Memphis’, the Peter Jackson produced documentary about the West Memphis 3!!! Huge Hollywood Names Join West Memphis 3 Film, ‘Devil’s Knot’ Cast!!!! This entry was posted on Thursday, January 24th, 2013 at 11:58 pm	and is filed under Film, News. You can follow any responses to this entry through the RSS 2.0 feed. You can skip to the end and leave a response. Pinging is currently not allowed.